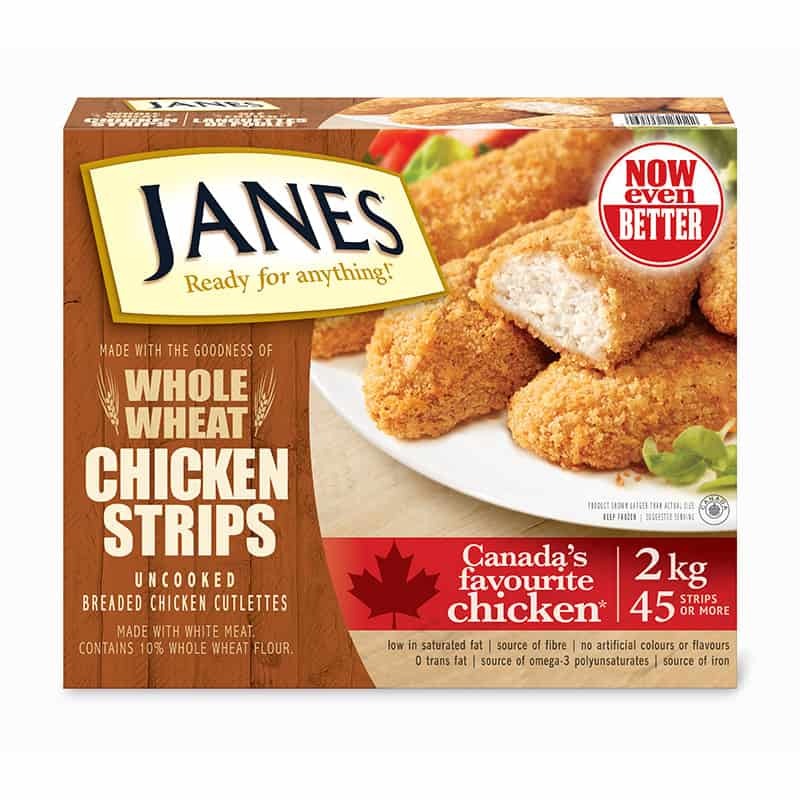 Whole Wheat Chicken Strips - Janes® Ready for Anything! 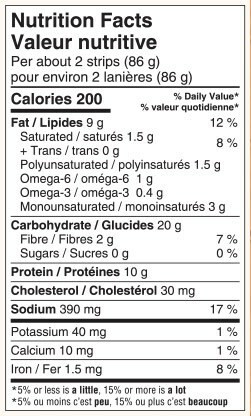 Chicken, Water, Wheat flour, Whole wheat flour, Canola oil, Salt, Rice starch, Yeast, Spices, Pea fibre, Sugar, Yellow corn flour, Spice extracts, Sea salt, Chicory root inulin, Baking powder, Toasted wheat crumbs, Garlic extract, Onion powder. Cook from frozen. Bake in a preheated oven at 425°F (218°C) for 10 minutes, flip, then cook from 10 to 15 more minutes. Cook to an internal temperature of 165°F (74°C).